On my most recent trip to the LA Fashion District, I stopped at the Michael Levine Loft and picked up a bunch of fabric remnants. Most were striped knit. And most of the pieces were quite small - probably the reason they were still there. 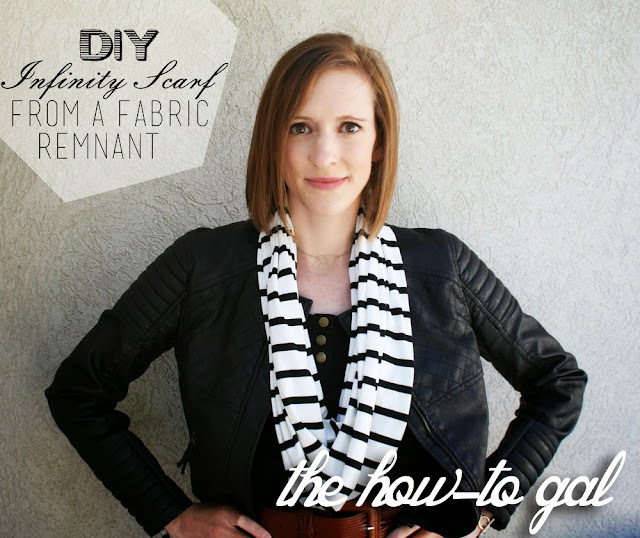 There may not be much fabric in a remnant, but plenty for a scarf. Here's a shot of the piece I had to work with. 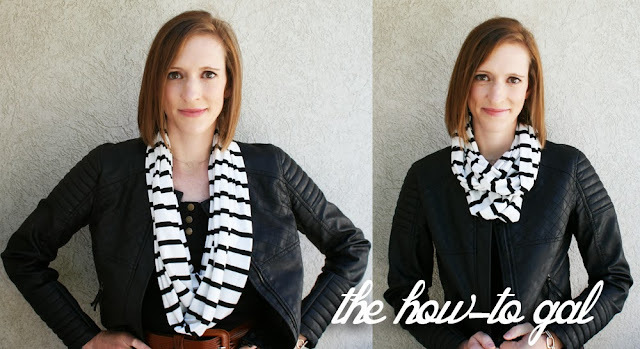 Using fabric remnants to make fun, seasonal scarves is a great way to sew your stash. Step One: Clean up the edges and cut the remnant into two (or more) equal pieces. Step Two: Sew the smaller piece to the longer piece, creating one long piece of fabric. Step Three: Connect the two ends together and sew it up. I used a zigzag stitch in a contrasting color thread (I'm weird like that). Because my fabric was a knit, I didn't think it necessary to hem the edges. Total personal preference. 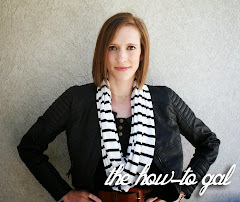 The scarf is long enough to wrap around my neck two or three times, depending on the look I want. It's so easy! Grab a knit from your stash and whip up a brand new scarf today!